The war grew out of the misguided Russian foreign policy, and out of what was a seen as a necessity to boost Tsar Nicholas II's regime internally by a "short, victorious war", in words of Russia's Interior Minister, V. Plehve. First, Russia broke the terms of its treaty with China by introducing military into Manchuria. Then, instead of negotiating with Japan over spheres of influence in the Far East, it annexed Manchuria. 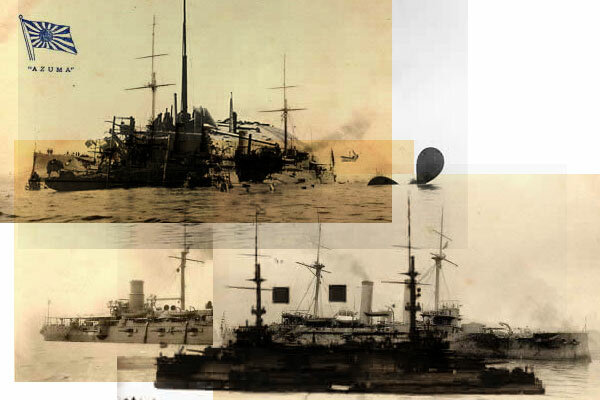 On February 8, 1904, the Japanese attacked Russian fleet in Port Arthur (now Lushun, in North-East China). The attack was successful and made headlines around the world. For the next year, Port Arthur became a battleground, which cost great many lives to both sides. The city surrendered to the Japanese in the end of December. 25,000 Russian troops were taken prisoners by the Japanese. Russia's Pacific fleet, and the Baltic fleet that came to its rescue, were decimated by the Japanese as well. The result of the war was emergence of Japan as world power. For Russia, it was a major disaster, one which directly contributed to the civil unrest, the Revolution of 1905, the rise of nationalism and, of course, sharp increase in anti-Semitism and a wave of bloody pogroms that lasted for over two years. Page last modified on Sunday 27 of May, 2007 21:44:06 CEST by 1.1.